Rest and refresh at the award-winning Comfort Suites Ontario Convention Center hotel in Ontario, CA. A recipient of the Choice Gold Hospitality Award, this smoke-free hotel is near Claremont Colleges, Citizens Business Bank Arena and Ontario International Airport, to which we provide free transportation. 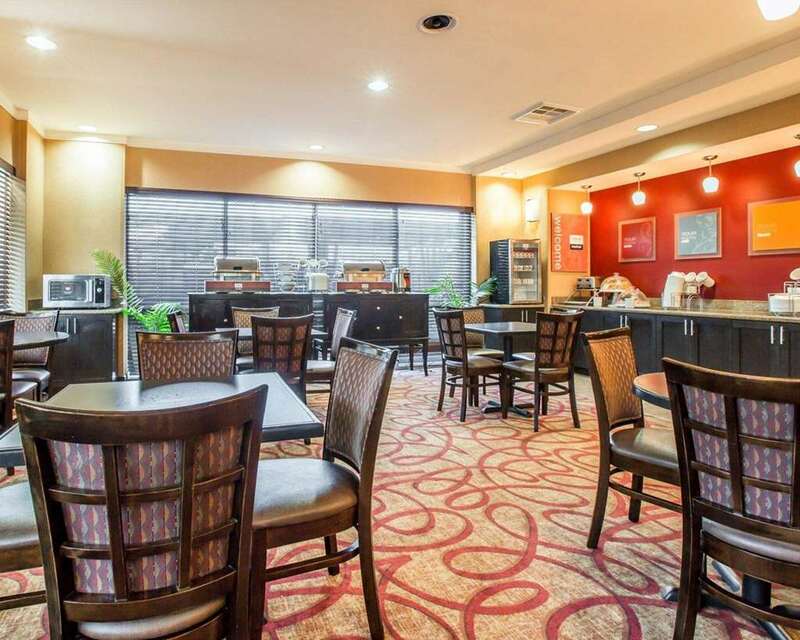 Additional amenities include free WiFi, free parking, free hot breakfast, business and fitness centers. Your suite gives you 25 percent more of the space that you need and features a refrigerator, microwave, HDTV and recharging device with AC and USB outlets. Also, earn rewards including free nights and gift cards with our Choice Privileges Rewards program.